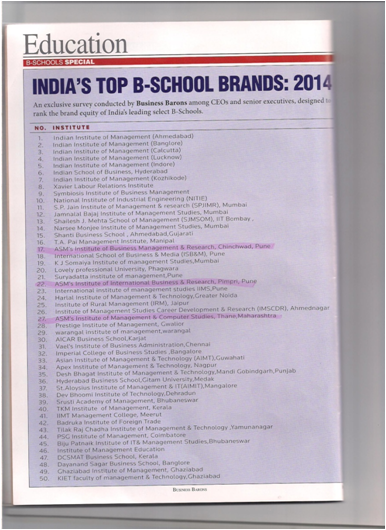 According to Business Barons Magazine-2014, ASM’s IPS is on 22nd Rank. 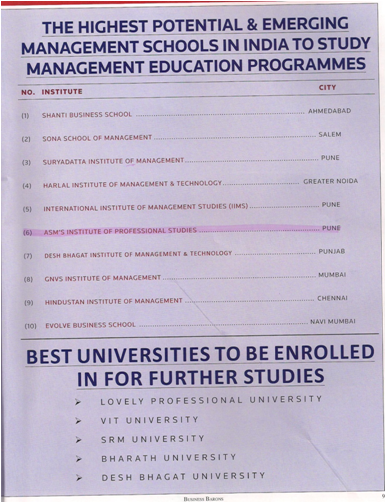 IPS Ranks 6th as Highest potential & an emerging School in India to study. According to Business World Pecking, order for IPS is 103.